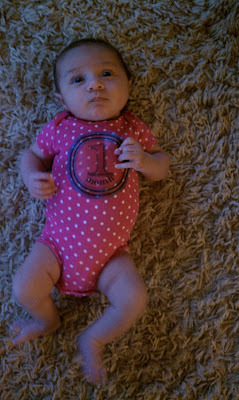 Miss Ashley 1 month old, her cheeks are really filling out! wow! time does fly!! she's a cutie! Oh my! Yes go snuggle. Mine is still cooking but once it's out time does fly. So looking forward to holding my little one. 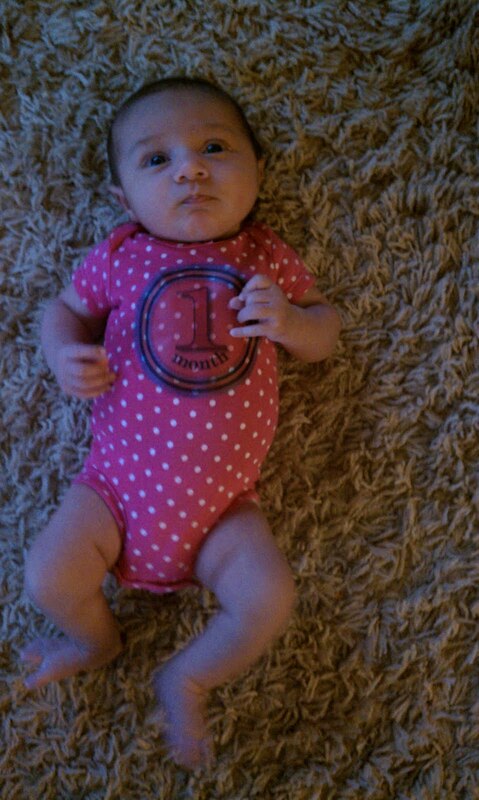 She is so cute and I love the 1month sticker. I am going to need to get some of those for my little guy!